TONOPAH — Health care services are set to return to the part of the former Nye Regional Medical Center campus on June 1, nine months after the Tonopah hospital shut its doors. Renown Medical Group of Reno plans to open a telemedicine clinic on part of the former hospital campus that formerly housed a clinic. 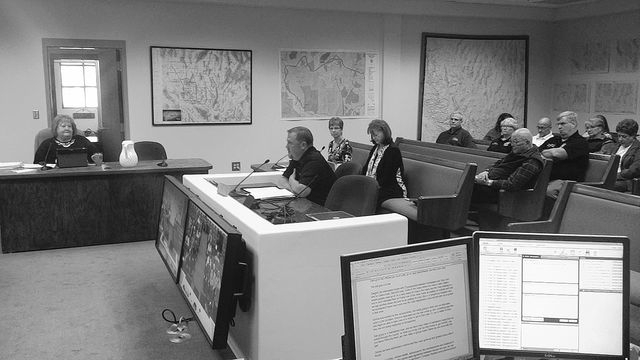 “This means that we can now start beginning to re-establish health care services here in Tonopah,” Rich Conley of Renown Health said Tuesday in presenting a signed lease agreement to the Nye County Commission. The nearest hospital to Tonopah is more than 100 miles away in Hawthorne or Bishop, California. 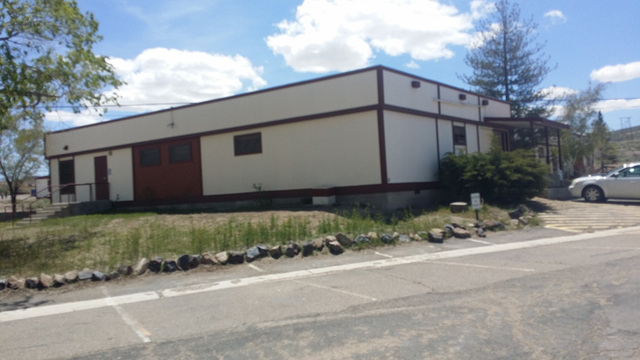 The clinic at 825 S. Main St. will not have an emergency room. For emergency services or any serious injuries, residents are encouraged to call 911, Conley said. As the clinic prepares for its June opening, an open house is planned there from 1 p.m. to 4 p.m. on May 20. Tonopah native Jessica Thompson, who worked in a number of roles at Nye Regional, has been named director of group practice operations, Conley said. “What will this mean for Tonopah residents?” asked Conley, Renown’s director of outpatient radiology. In addition to telemedicine in Tonopah, Renown plans to work to provide on-site lab testing. These include strep, flu and pregnancy tests. “We’ll also have X-ray services on site, and we’ll look to expand our imaging capabilities in the very near future. Renown will continue to search and recruit for on-site medical providers, such as a physician or nurse practioner, he said. “We really wanted to get the services up and running and get a foundation for a sustainable model of care here in Tonopah,” he said. Any insurance accepted by Renown in Reno would be accepted by its Tonopah clinic, officials said in an interview. Renown has a list of contracted providers, Conley said. “If people have other types of insurance products, we recommend them contacting their insurance company directly to see what type of coverage they could receive here in Tonopah,” he said. The May 20 open house is a chance to get an in-person look at what’s planned in the clinic. In her public comments, Commissioner Lorinda Wichman, who has worked to secure medical services for Tonopah, thanked Renown. She said she looked forward to it being a “long” constant in the Tonopah community, her comments shortened by applause about the agreement.